Warwickshire have signed Alex Mellor from Staffordshire on a one-year deal. 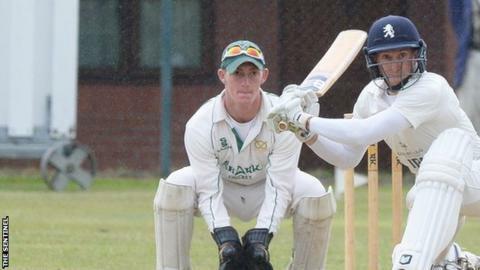 The 24-year-old wicketkeeper has played eight times for the Bears over the course of this summer, sandwiched in around his Minor Counties Championship appearances for Staffordshire. "Alex has impressed with bat and gloves during his time in the Second XI," said Bears director of cricket Dougie Brown. "We hope he can develop into a top-class keeper/batsman by working closely with Tony Frost and our coaching team." Stoke-born Mellor, who came through the Staffordshire youth system, made his debut in the Minor Counties Championship last season. He became only the seventh Staffordshire player to hit a double hundred earlier this summer, making 208 not out against Suffolk in a game in which he also broke the county record for dismissals in the same match, taking 11 catches. Mellor, who averages 39.00 for the Bears in five Second XI Championship matches, was also part of a Staffs side who finished third in the Minor Counties Eastern Division, winning three of their six games. "I've received great support in reaching this point in my career," he said. "I thank my family for all the support they've given me over the years. "I've had a fantastic welcome from the coaching team and players since joining the Bears. I'm very excited to be joining such a great club. "Whilst the current season is coming to a close, I can't wait to get started again in November and hopefully developing my game further."